Writer, editor and website builder SCOTT ROSENBERG is a cofounder of Salon.com and author of Dreaming in Code: Two Dozen Programmers, Three Years, 4,732 Bugs, and One Quest For Transcendent Software. Most recently (2011-2014) he worked as the executive editor of Grist, a non-profit green news site. Before that he founded MediaBugs.org, a project funded by the Knight News Challenge that built a “bug-tracker for news” — a service people can use to report errors in news coverage in their communities and try to get them corrected. 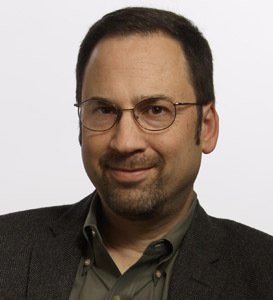 At Salon, Scott served as technology editor and, from 1999 to 2004, as managing editor and vice president for editorial operations. He also started the Salon Blogs program in 2002 and began his own blog as part of it. Before leaving Salon in 2007 to write SAY EVERYTHING he conceived and prototyped the Open Salon blogging community. Before Salon he wrote on theater, movies, and technology for the San Francisco Examiner for a decade and was honored with the George Jean Nathan Award for his reviews. His writing has appeared in the New York Times, Wired, and many other publications. He lives in Berkeley, California, with his wife and two sons. Today he blogs at wordyard.com. He can be found on Twitter as @scottros.